материалов, изделий и конструкций, 270114 – проектирование зданий / СПб гос. архит.-строит. ун-т; Сост. : А. С. Глебовский, Т. А. Денисова. – СПб., 2008. – 90 с.
Под общей редакцией канд. филол. наук, доцента А. С. Глебовского. Задание предназначено для аудиторного чтения для студентов II курса (весенний семестр) по специальностям 270102 – промышленное и гражданское строительство, 270106 – производство строительных материалов, изделий и конструкций, 270114 – проектирование зданий. Задание составлено на основе оригинальных англоязычных текстов по вопросам строительства зданий. - расширение словарного минимума по специальности. Задание состоит из 12 уроков. Каждый урок включает два текста из оригинальной литературы и набор лексических, грамматических и фонетических упражнений к ним. Каждый четвёртый урок содержит, кроме того, текст для домашнего чтения. тем и список использованной литературы. · сборник тестов для промежуточного контроля качества овладения студентами учебного материала. Предлагаемое Вашему вниманию задание по своей структуре и методическим основам является продолжением учебных пособий № 108–111 для I–II курсов. · набор лексических, грамматических и фонологических упражнений. Тексты A, B и C являются описаниями конструкционных особенностей зданий различных типов и взяты из оригинальных англоязычных текстов по вопросам строительства. Лексическая задача пособия – расширение минимально-необходимого набора общеупотребительной и терминологической лексики по строительной специальности. Лексический состав упражнений определяется той, и только той, лексикой, которая уже была представлена в изученных на данный момент текстах. текста, в котором она впервые использована. грамматике английского языка, необходимых для перевода текстов по специальности и навыками правильного изложения их содержания в ответах на вопросы. уроке дан в конце задания. изложения содержания прочитанного текста на английском языке. are accommodated in two cores, one of which additionally contains two lifts. radius of centre-line is 9.05 m, the gradient being 9 %. floor beams and interconnecting the structural steelwork in the longitudinal direction. Composite action is ensured by stud shear connectors and in-situ concrete in the joints. vertical diagonal bracing in the end and longitudinal walls. groups of bracing erected between the outer columns. feature cladding consisting of plastic-coated sheet-steel troughing units. 1. What kind of building is it? 2. How is access to and from the parking bays provided? 3. What are the overall dimensions of the car park? 4. What does its structural system correspond to? 5. What does the framework of the building comprise? 6. How is composite action ensured? 7. How are wind forces withstood? 8. What are the structural features of the semi-helical ramps? Упражнение 1. Переведите на русский язык приведённые ниже словосочетания. sheet-steel troughing unit, structural steelwork. concrete infill panel, hollow core concrete plank, cavity brick wall. 1. The structural system has been designed as a pin-jointed framework. 2. The car park area has no structural fire protection. reinforcement than necessary for the fire protection of the services within cores. 4. This multi-storey car park has 748 parking bays. 5. They had to find a safe method of construction. 7. This method will have to be used due to difficult soil condition. structure, builder, characteristic, respective, direction, basement, stainless, brightness. 3. Columns are spaced at 2.50 m centres longitudinally. Упражнение 5. Работа в парах. Студент C: Задайте 5 вопросов различных типов к тексту А.
Студент D: Ответьте на вопросы к тексту студента C.
Студенты C и D: Поменяйтесь ролями. ground floor and upper floor. facades and interconnected by cross beams at roof and floor level. The girders are pinjointed to brackets on the columns, which are spaced at 14 m centres in both directions. are of welded construction, from 15 mm thick plate, stiffened with internal diaphragms. steel cladding with opening windows provided with double glazing. 2. Составьте план текста из 6-8 пунктов. подчёркнутых слов и антонимы слов, выделенных курсивом. staircase, stainless steel cladding, suspend, transverse bracing, trough decking, upper. and in the middle unit of the building, the floor of the main hall is precast concrete. the unit with a minimum width of 2.35 m.
below ground level and this prevents differential movement. 1. What building materials were used in the superstructure? 2. What elements of the building was each of them used for? 3. What kinds of foundation does the superstructure bear on? 4. What soil is there underneath the structure? 5. How is the stability of the middle unit assured? снаружи, соединять (пролётом), фасад, характеризоваться, хотя. Упражнение 3. Выберите толкование, которое соответствует строительному термину в левой колонке и переведите его на русский язык. Дайте однокоренные слова к терминам, помеченным звёздочкой (*). 1. A thin transverse plate used to stiffen a thinwalled structure such as a shell or box girder. size and highly cohesive (когезионный) nature. which is below the level of the ground surface. 5. In the direction of the longer plan dimension. stress on a permanent basis. слов. Если ошибки имеются, укажите правильный перевод. 2. Vehicles entering the park use a semi-helical ramp built at one end of the building. thus required, being provided by post-tensioning. steelwork in the longitudinal direction. Упражнение 2. Работа в парах. supported is of box section. 2. Составьте план текста из 6–8 пунктов. staircases are provided at the corners and there are ramps along the sides of the pavilions. The pavilions are erected at a height of 10.30 m above water level on 32 m high columns. open caisson foundations and are interconnected by vertical bracings. 1. What kind of development is it? 2. How is circulation within the buildings provided? 3. What is the function of the tubular columns at the centre of each pavilion? 4. What are the top chords of the lattice girders interconnected by? 5. How are the lower-level floor beams supported? 6. What do the rectangular hollow section beams carry? 7. How are wind forces transmitted? 8. Where are service ducts installed? Упражнение 1. Переведите на русский язык приведённые ниже слова и словосочетания. intersection, lattice girder, rectangular hollow section beam, square (n.), water level. располагать; решётка; связывать; содержать; соединять; стойка; трубчатая колонна. transfer from wood diaphragms can be accomplished with shear bolts and (10)… . 1. In this place connections were made with steel angles or plates. 3. The entrance to both buildings is at terrace level. 5. Wind forces are transmitted to the foundations. 6. It is made in order to force the vertical wind-bracing. 7. The hotel has ten upper storeys which cantilever outwards like wings. 8. The ends of these cantilevers are joined together by edge girders. welding of a plate embedded in the planks to the chords of the trusses. 4. The cladding consists of vertical precast concrete strips alternating with windows. 5. Structural steel used is about 7 lb/ft2 of floor area. deep pockets in 3 ft deep ground beams sitting on the piles. 8. Inside the ground floor has a suspended ceiling 10 in below the slab soffit. There was a heavy 9in deep concrete slab at each floor level. There were ribs between the grooves with overall depth of 40 mm. There is a 125´500 mm precast concrete edge beam on the east and west sides. are located on the outside of the building. Each unit measures 12.60´12.60 m on plan. stand 60cm in front of the facade. The portal frames span 12.60 m and are 6.30 m apart. a U 230 channel section. and hip rafters support timber beams which in turn carry rafters and battens. flanges, the columns extending continuously through holes formed in the gusset plates. the external columns. The ends of the girders are interconnected by edge beams. In one direction, secondary girders are connected midway between the main girders. The subsoil is fine to medium sand, the water table being below foundation level. walls. The bearing pressure on soil is 2.5 kg/cm2. 1. What buildings does the airport passenger terminal consist of? 3. What does the superstructure consist of? 4. What are the wind forces transmitted by? 5. What is the structure of the floor of the building? 6. What are the features of the building substructure (подземная часть здания)? помощью группы существительных, характерные для строительной терминологии. the columns at this level. connected to tie the structure together. 4. Differential movements between trusses should be accepted. 1. This slab cantilevers over the wall on the south-east elevation. 2. These are supported by two outer hangers only, located in the longitudinal facades. walls that in general are 300 mm thick. 4. The depth of main girder is much more than that of secondary girders. 5. Those are the beams that stiffen both floors. on each side of the main building. 8. These floor trusses had to be heavy and comparable in size to those of a bridge. 1. Steel trough decking serves to stiffen the upper floors. 2. The concrete columns on the north-west elevation appear to be separate. attached on the inside to the four tubular columns. 6. The building to connect the blocks is two-storey. building comprises four wings enclosing a square core. structure they are rigidly connected to four columns. them. The main beams of the roof structure are connected to the ends of these cantilevers. The purlins in turn carry rafters consisting of rolled steel sections. and vertical window openings with double glazing. area on plan of 160´100 m.
floor deck by horizontal tubular bracing in alternate bays at every other floor level. bars take tension and tubular sections take compression. may easily be changed in position. m, these floor trusses had to be heavy and comparable in size to those of a bridge. causes considerable bending in the columns, which they must be designed to resist. to each other by steel connectors at intervals. 2. What are the main elements of its superstructure? 3. What is the structure of the plane frames? 4. How is resistance against horizontal forces provided? 5. What are the features of the secondary beams and columns? 6. Why did the floor trusses have to be heavy? 7. How were differential movements between trusses accepted? 8. Why is the concrete floor slab split into separate panels by joints? 9. How much was precasting used? 10. Why is the slab able to act as a continuous horizontal diaphragm? в тексте для домашнего чтения. Найдите их перевод в списке В.
street level. Prestressed composite steel beams are used for the main building spans. 23.40 m for the facade beams and 15.30 m for the internal beams. cross-bracing being used before the welding was complete. What is the building held by? What is the structure of the glazed cylinder? What do the portal frames consist of? What are the features of the two middle portal frames? Why do the longitudinal beams have to span large distances? What are the features of the ground floor portals? What elements of the structure required welding? термину в левой колонке, и переведите его на русский язык. large number of cycles (циклы). sway (колебание) of a tower. a member due to loads or other actions. 5. Movement away from some fixed point. (реакция) of the supporting soil materials. in the direction in which the load acts. cheaper to erect, is steel sheet. 3. The most common types of shallow foundations are wall and column footings. takes up the least space on plan. have four to compensate for the shallower cable angle there. 6. The thickness of the shell was the smallest. 8. The second project is less interesting. and also allow up to 8 mm change in length in the building as a result of thermal expansion. mm dia ´ 6.3 and 4.5 mm thick in the upper storeys. spiral staircase, subdivide, sur­mount, vertical circulation, width. m. The vertical cores are 9.50 m in diameter. escalator and one outside staircase leading up from the arcade. supermarket is 5.85´5.85 m. The edge of the roof projects 5.55 m on all sides. columns. The floor slab is enclosed by an edge beam channel section. soffit being clad with aluminium panels. 1. What are the main functional features of the development? 2. How large is the building? 3. What does the reinforced concrete floor bear on? 4. How are wind forces resisted? 5. What does the roof structure comprise? 6. What is the structure of mushroom caps? 7. What does the substructure of the building feature? mushroom-shaped unit, vertical circulation facility, watertight con­crete tank. подвергать напряжению, поразительный, суживаться, зеркало грунтовых вод. framed with box trusses 14 ft wide and 18 ft deep, meeting at the apex of the pyramid. (2)… box truss consists of wide-flange chord members and double-angle web members. 68 (10)…, depending on length. The width of the foundation is 3.60 m.
The back unit of the building is similar in principle to the middle unit. It is a two-storey elevated structure spanning a motorway. Rigid frames are to support the building. Wind forces are transmitted in the two concrete cores. Упражнение 3. Образуйте существительные с помощью словообразовательных суффиксов и переведите их. Переведите образованные существительные на русский язык. на время и залог сказуемого. 1. The raft forms the foundation of the rest of the building. similar columns around the perimeter. 3. The deflection was limited because the beams had been prestressed. 4. These frames are being supported by a separate concrete substructure. 5. This eliminated fitting problems during erection. 7. With only small openings the core structure will not be affected. 8. Diagonal truss tubes have been built both in steel and concrete. 9. High tensile strength will be accomplished in several ways. 10.These floors will have been completed by next week. на функцию глагола to be. 1. The strip foundations to the side walls are taken below a soft clay layer to sand. 2. The basement was to be constructed watertight. interconnection of two transverse frames. between transverse beams, the imposed load on floors being 500 kg/m2. used. The units are 13.5 cm thick and have a high value of a thermal resistance. the basement walls are supported on strip footings. resistance, timber, transverse, underfloor (adj.). and joists. There is a basement storey below this which is of brick construction. value and could lead to high moisture content in the timber. wool insulation and the internal lining board. 1. How high is the office? 2. What materials were used in the structure? 3. What elements of the structure was each material used for? 4. Why does the basement storey occupy only the north-east part of the plan area? 5. Where were nails used for fixing? 6. What was done to avoid high moisture content in the timber? 7. What are gravity and wind loads taken by? insulation, flat ceiling soffit, reinforced concrete retaining wall. терминами. Переведите полученные словосочетания на русский язык. 5. The joining of two or more separate elements. which is not permanently acting on a structure. tension opposite to each other. 2. Timber elements allow using nails for fixing them. 4. Connections in steel can be made by welding or bolting. 5. The tendons may be stretched with jacks or by electrical heating. 6. Sometimes concrete is prestressed principally to prevent cracking. 7. The full cross section of a prestressed concrete beam is effective in bending. 9. Shrinkage depends on time but not on stresses due to external loading. 10. Two methods are used in producing prestressed beams. конструкцией it is … that… . 1. It is a basement storey that is of brick construction. 2. It was laminated timber that all panels are made of. should be paid attention to. 4. It is concrete or masonry that foundation walls are typically built of. 5. It was in 1824 when Portland cement appeared. space as well as parking for more than 250 cars in three basement levels. walls instead of the perimeter columns, but the structural arrangement is otherwise similar. prestressed, at a level of 7.5 tons per ft run. at their junction with a public square. a central corridor. In addition, there is a lift connecting the main hall and the first floor. stiffened by two concrete cores, the frames following the polygonal outline on plan. 42 mm dia bolts to the reinforced concrete walls of the basement. a layer of tar-bonded crushed rock and 4 cm reinforced concrete topping. 1. What are the location features of the site? 2. How is circulation within the building provided? 3. What is the design of the arcades? 4. How do transverse beams function in the structure? 5. What is used for structural connections? 6. What are floor beams surmounted by? 7. What is the roof made of? portal frame column, radial trans­verse beam, steel trough decking, treat, welded I-section. составлять, компоновать, стропило, увенчивать, утапливать, центральный, щебень. projecting farther outwards with increase in height. 2. Spanning between the main beams are secondary beams, spaced at 1.50 m centres. being induced (вызывать) in the slab. by strip foundation pad was considered. 6. After erecting the steel framework enclosure work begins. three groups of bracing erected between the outer columns. 9. One should be careful when working with glass. began a new redevelopment (реконструкция) project. of the frames in each storey carry an in-situ concrete floor slab. storey. The edges of floors are faced with weathering steel sheet. extend from a central core and are supported on a substructure raised above the podium. 8.05 m. All these cross beams comprise twin channels U 300.
build­ings, Orlando clearly needed a new City Hall. and surmounted by a 120 ft diameter copper dome. added for structural rather than architectural reasons. concrete mat to provide a good surface for steel placement. mat was concreted in a single, 13-hour continuous pour without construction joints. settlements. A construction joint with dowels and reinforcement connects the two sections. four sides, with spans varying from 15 ft at the fourth floor to 12 ft 2in at the ninth. as lateral-force-resisting beams and are post-tensioned at the perimeter cantilevers. higher loads. These areas measure 52 ft by 36 ft and can be used for heavier rooms. long-span, post-tensioned girders are supported on tall, slender columns. The four long-span transfer girders work together to support the tower column. required for the final service load, stage stressing was to be used. girders also supports the trusses. Why does Orlando need a new City Hall? What are the features of the new building? What kind of soil is there on the site? What types of foundation were used? 6. How was mat foundation produced? 7. What are the characteristics of the low-rise section foundation? 8. What does the building perimeter feature? 9. What is the framing scheme of the structure? 10. Why were the girders of the frame prestressed? 11. How is the load from the tower column transferred? 12. What is the structure of the dome? ft (408 760 sq m). a nearly square shape; these walls support the basement floors and are braced by them. At level 50 the building is stepped back, two of the corner area modules being omitted. in (400´69 mm). Two adjacent framed tubes share one set of beams and columns. of the building by some 15%. The floor is made composite with the truss by shear studs. 1. Why is the office block important? 2. How was the required cost and speed of construction achieved? 3. How many area modules is the building made up of up to the level 50? 4. How does the number of the area modules change at the upper levels? 5. What does the basement structure feature? 6. What does the framed tube of each module consist of? 7. What are the two and four-level trusses used for? 8. Why is the span direction of the trusses altered every six floors? wind forces on high-rise buildings. double-glazed (4)… wall set in a grid of aluminium mullions and spandrels. concrete (9)… and metal deck are separated from the bottom girder with stub pieces. The stubs have shear connectors on their top to ensure (10)… with the slab. stiffness, span direction, gross floor area. A thick reinforced concrete raft foundation is used to distribute the column loads. To increase its strength the building includes reinforced concrete columns. This building took a total period of 20 months to complete. was the reason for sloping the frame back towards the building. The trusses serve to spread out concentrations of gravity force. loads of 300 kg per sq metre. three sides are recessed beneath it. building is recessed under the main high rise block. lattice girder, intercept, reason (n.), ensure, so (conj. ), expose, introduce, base, beneath. only hexagonal and triangular modules are possible. 1. How do the caissons and the concrete mat function? 2. How is vertical transportation within the building provided? 3. What was done to resist wind loads? 4. Why did the exterior columns have gravity circulation of inside air around them? 5. What form was the steelwork brought to site in? 6. What are the possible shapes of identical area modules? передавать; равномерный; способ, образ действий. 1. One of the separate elements of a structure. грунта), or a change in elevation of the ground surface. directly into an excavation (котлован). supporting the edges of the floor slabs. 7. To strengthen, usually by adding something. element, it is also called a raft foundation. 1. The building is a 30-storey suspended structure. 3. When prestressed the girders can span longer distances. 4. The vertical forces are transmitted to the core through the special brackets provided. concrete with smaller tolerances is obtained. 7. Prefabricated floors are particularly feasible in order to reduce construction time. 8. The fire resistance of a floor required can be achieved in various ways. 1. The two buildings house more than 16,000 office workers. 3. They designed the building to have maximum repetition of elements. 4. In spite of its vast size, only a limited number of design drawings were done. 5. The design of the floor was made composite with the truss by shear studs. 6. The building is made up of nine square area modules. 7. Building methods used helped to achieve the required cost and speed of construction. 8. The building consists of square units which combine to form a larger square. space. The entrance hall extends through a height of two storeys. in the concrete core, while their outer ends are attached to steel hangers in the facades. forces are also transmitted to the core, through the floor slabs. bars, 228 mm wide, increasing in thickness with height from 19 to 51 mm. thicknesses up to 62 mm. 24 radial beams supported by the hanging bars at one end and the core at the other end. piles. The building is clad in a reflective glass. thickness is doubled, the section modulus doubles. 1. What are the floors of the building supported by? 2. What does the core bear on? 4. What was the sequence of operations in the construction of the top umbrella? 5. Why are the floors built up to 44mm high at the perimeter? 6. How is the building clad? reflective glass, reinforced concrete core, umbrella structure, vertical prestress. нижняя половина; устанавливать; процесс; сравнительно; укорочение; пространство; стальная свая; всё же; подвесной; треугольная ферма; вверх. Упражнение 1. Переведите следующие словосочетания. or load capacity (1)… or where driving is difficult and requires excessive driving force. concrete jacket (оболочка) around the steel pile down to a point (6)… the water level. allowable is related to the pile size and the driving technique. Ordinary (8)… is 2 ft 6in. (10)… of a column footing for the same total load with a relatively high soil pressure. Упражнение 2. Переведите предложения, обращая внимание на глагол would. series of trusses across the shorter dimension on plan. 3. Higher prestressing forces would have increased the size of the beam. designs that would make it difficult to form similar precast units. would also have to support part of the wall. normally be desirable, the weight of steelwork would amount to 35 kg per sq m.
column is actually a pair of columns, connected at right angles to one another. 6.5 cm thick in-situ concrete slab on steel trough decking. 1.98 m. Infilling consists of double glazing. This office block has 40 storeys and a gross floor area of 880 000 sq ft (81 750 sq m). are all about one foot thick at mid-height. diameter of 4 ft 6in (1.37 m) and extend some 50 or 70 ft (15 or 20 m) to the bedrock. south parts of the building, were used. 3. How is lateral stability provided? 4. What does the enclosure of the building feature? 5. What do the core walls and columns bear on? 6. Where is the action of the perimeter frame most effective? 7. What was the total construction time? 8. How many cranes were used? достигать (какой-либо величины), арматура, серия, тот же самый. Переведите следующие предложения, обращая внимание на неличные формы глагола и обороты с ними. 3. The aluminium anchor is likely to be slightly rotated. to the walls of the core being 13.80 m.
sq ft at the top. must not react chemically with the cement paste. 9. Important factors considered in deciding on a safety factor are given here. interconnected in the longi­tudinal direction by edge beams. with sides of 48.30 m, the distance from the facades to the walls of the core being 13.80 m.
The design of the building has been based on a 1.32 m module. tube functioning as a vertical cantilever which absorbs and transmits all horizontal forces. floors. The inner ends of all the floor beams are supported in the core walls. The external columns and the horizontal stubs in front of the facades are of boxsection. frame, stub (n.), temperature variations, tension, vertical cantilever. over its height into five independent structures. glazing, therefore, only needs to allow for tolerances. An inner wall of lightly tinted glass is provided inside the external glazing. A horizontal joint at each storey allows for floor deflections and thermal movements. size, for the service modules and ‘risers’ (здесь - ступени) on the east and west sides. 6mm thick aluminium sheets welded to aluminium edge sections. What does the structure consist of? What is a mast made of? How is each mast support provided? How do suspension trusses function? What does the floor structure consist of? How are important elements of the building protected against corrosion? What makes the external skin of the building unusually complex? How are office areas clad? What does the cladding of the stairs on the east and west sides feature? How are the service modules and ‘risers’ clad? What is the fourth type of cladding? тексте для домашнего чтения. Найдите их перевод в списке В.
Ударение в фонетической транскрипции ставится перед ударным слогом. Второстепенное ударение ставится внизу перед ударным слогом. w – звук образуется, когда губы, в положении, как при свисте, резко раздвигаются. Оборот there + to be. 1. Orton, Andrew. The Way We Build Now. Wokingham, 1988, ISBN 0-74760-011-2. 2. Hart, Franz. Multi-storey Building in Steel. London, 1978, ISBN 0-258-96974-1. 5. Ambrose, James. Building Structures. New York, 1988, ISBN 0-471-83094-1. 6. Ambrose, James. Simplified Design of Building Founations. New York.1988. 7. Civil Engineer 1998 – 6 # 11 pp. 56-58. 9. Мюллер В.К. Новый англо-русский словарь. – М.: Русский язык, 2003. 10. Новый большой англо-русский словарь. Под общим руководством Э.М. Медниковой и Ю.Д. Апресяна. В 3 т. – М.: Русский язык, 1993. 12. Фоменко В.Я., Любимцев А.Н., Любимцева С.Н. Русско-английский разговорник для строителей. – М.: Русский язык, 1990. 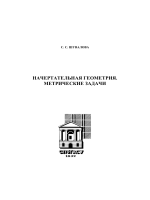 ISBN 5-200-00758-5.
и конструкций, 270114 – проектирование зданий. Подписано к печати 28.07.08. Формат 60´80 1/16. Бум. офсетная. Усл.печ.л. 5,23. Тираж 500 экз. Заказ 63. «С» 29. 190005, Санкт-Петербург, ул. 2-я Красноармейская, 4.